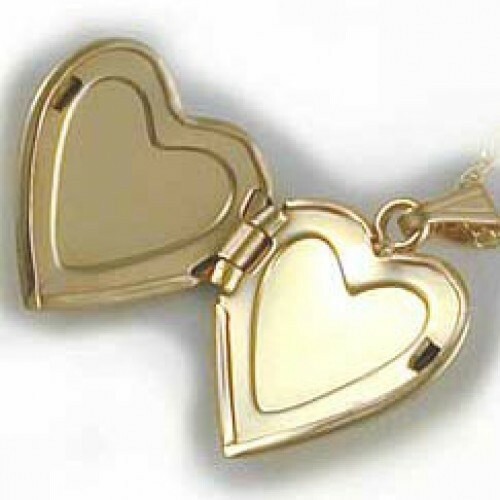 14K Gold Heart within a Heart Locket. 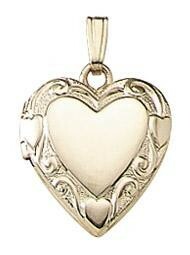 Inspired by Victorian design, this locket has an enchanting design embossed like a wreath around the edges. 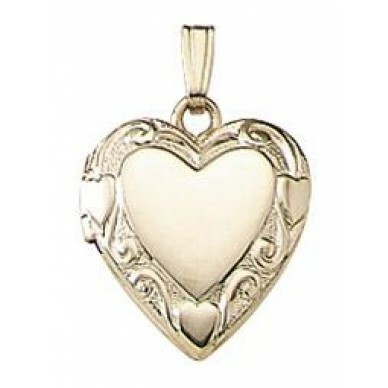 While it is not a large locket, it has a substantive feel and look to it. Perfect for the young set. Aprox 1/2" across. It can hold 2 pictures, but needs a bit of rubber cement to hold them in. It comes with a 18", 14K gold rope chain. Attractively presented in a velveteen box, it carries a Lifetime Guarantee by a company that has been around for the last 100 years. If you are looking for quality, here it is! Made in USA.